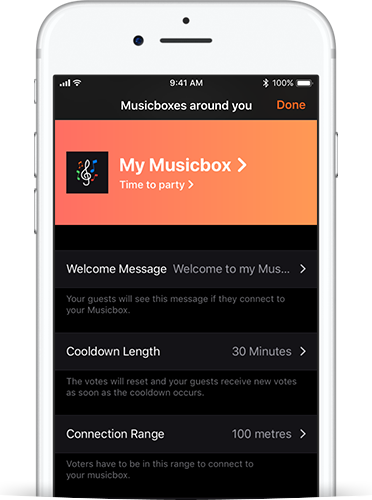 Musicbox - The modern jukebox app for every event or party. Let your guests decide the music. Let your guests vote for their desired songs and offer them a unique music experience. You can use the Musicbox wherever music is heard. It does not matter if you’re running a location, throwing a birthday party or celebrating a wedding. Your guests will definitely have fun with your Musicbox. Your guests will love your Musicbox. As soon as you start your Musicbox, the music starts and your guests can connect to your Musicbox. 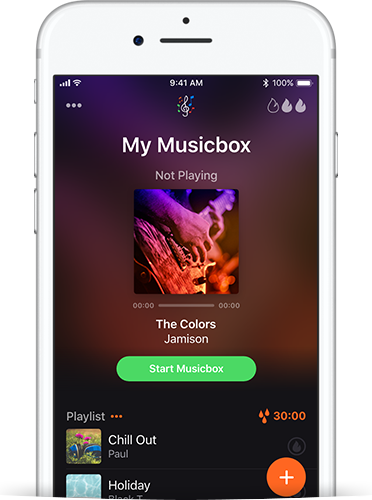 Each guest can submit their votes for any song in your Musicbox. The song with the most votes is always the furthest up in the playlist. 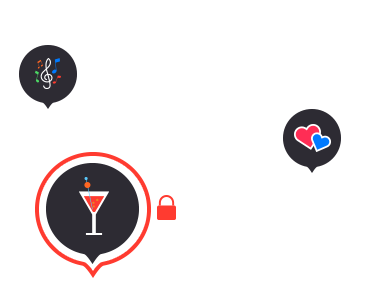 If you allow it, your guests can even add songs to your Musicbox. Yes it really is so simple. Once your Musicbox is running, it is visible to your guests. 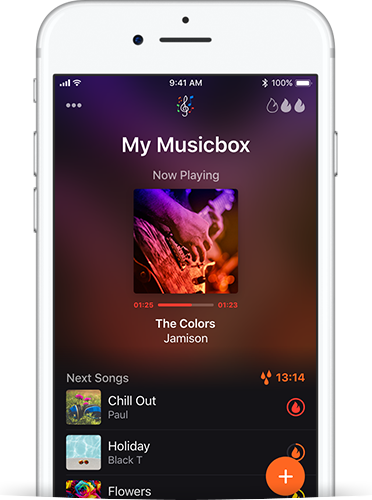 Your Musicbox the way you want. You decide for yourself whether your Musicbox should be publicly visible or not. If you prefer to use an invisible Musicbox, you can simply print or send a QR code with the app, which allows your guests to connect to the Musicbox. Of course, you can also give your Musicbox a PIN, if you do not want any visitor to connect to your Musicbox. You decide who can connect to your Musicbox. 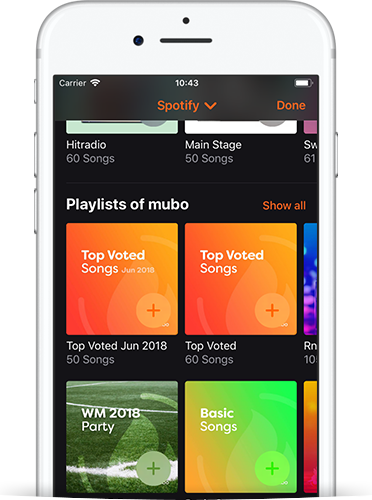 Besides your own music, you can also connect your Musicbox to your Spotify, Apple Music or Fanburst account. So you can play the music that is available through your streaming service.